Combine the sweet rice flour, cornstarch, and water in a mixing bowl. Turn out on table and knead to form a ball of dough. Grab a ping pong size of dough, create a well and fill with chocolate chips. 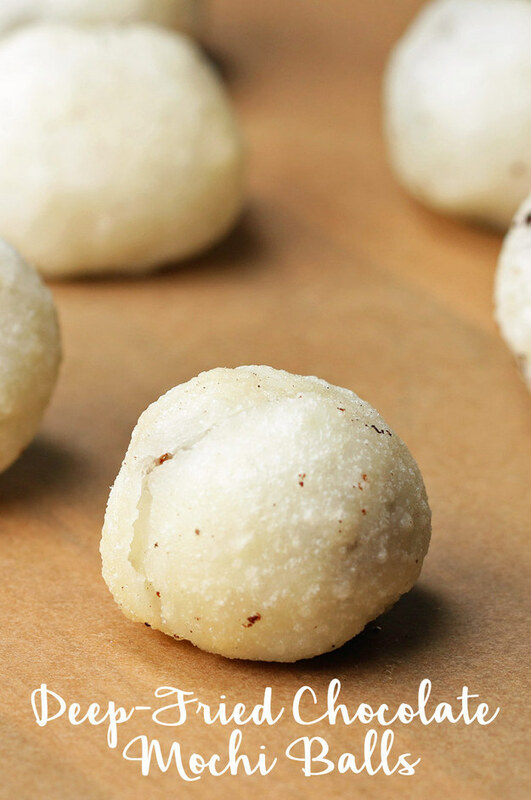 Wrap the dough around the chocolate chips and form into a ball. Make sure to seal well and push out any air pockets. If you don’t push out air pockets, they will pop and burst will frying. Deep fry until the outside is crispy and the mochi balls start floating. Enjoy!